Ruining a perfectly good monkey. 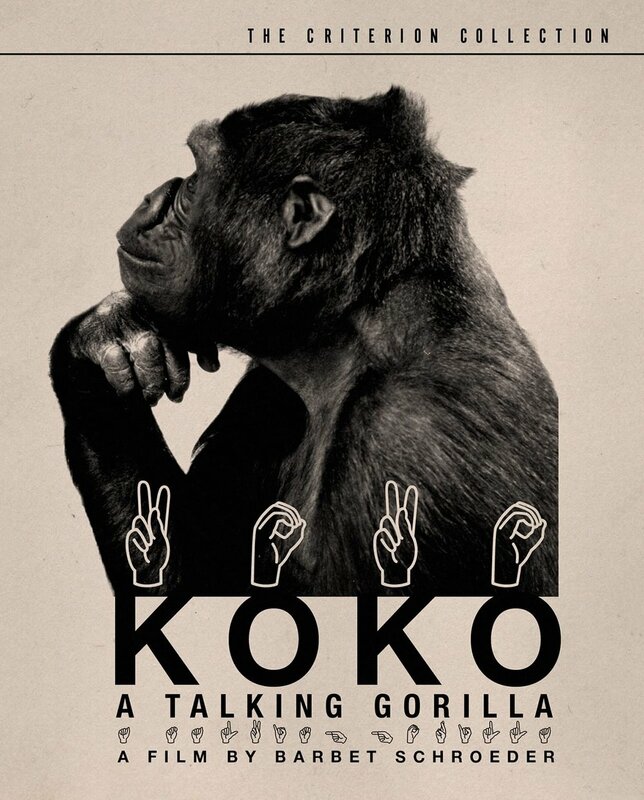 At one point during Koko: A Talking Gorilla, Barbet Schroeder calls Koko, a gorilla who has allegedly been taught rudimentary American Sign Language, the world’s first White American Protestant gorilla, and it is the most damning thing anyone can say about the project. As Pat and I discuss, that ultimately means that in a study trying to prove gorillas can “communicate” — a self-evident fact given they are social animals — what takes place is an exercise in assimilationism, a seeming belief that gorillas can only be proved intelligent if they are made to live and communicate like White Americans. There’s some racial overtones there, and we talk about the history of anthropology and psychology in that light this episode as well. We talk anthropology and the research ethics on this week’s Lost in Criterion with Koko: A Talking Gorilla. Listen on LostInCriterion.com, Spotify, iTunes, or anywhere you like to get podcasts. While you're at it, like us on Facebook or support us on Patreon.